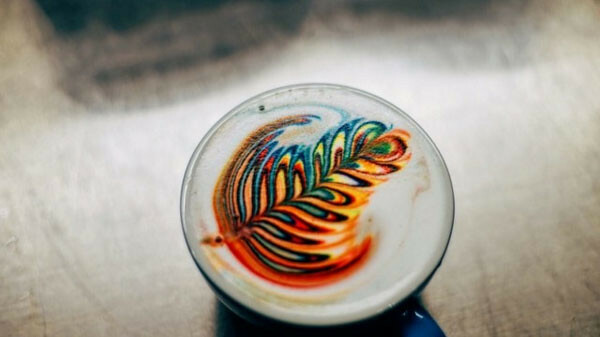 You can also use food dyes to brighten up your wake-me-up, if you feel so inclined. 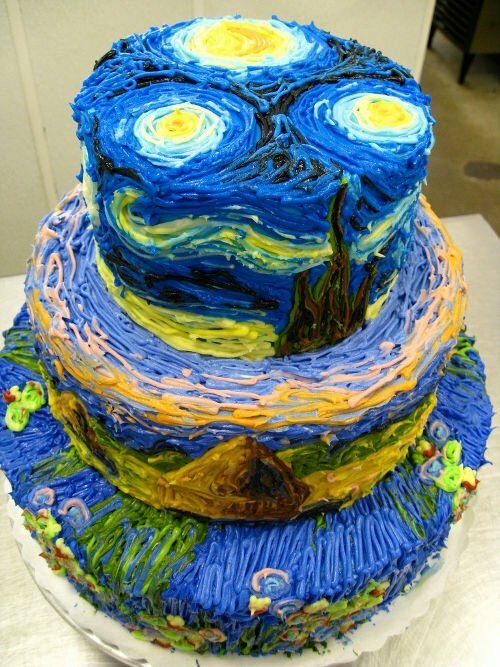 Cakes that are sculpted in unusual forms often rely on extensive support, sometimes with inedible objects. Though we can't say for sure that this design relies on such supports, it does appear to incorporate outside objects to complete its authentic looks. Of course something as simple as frosting can give you impressive results. No sculpting needed here: just a close eye for detail, a good sense of color, and a very careful hand. Or Maybe On the Inside? It's amazing what you can do with food dyes and layers. What better medium to utilize these two elements than cake? With this one you'll only see the beauty when you cut inside. 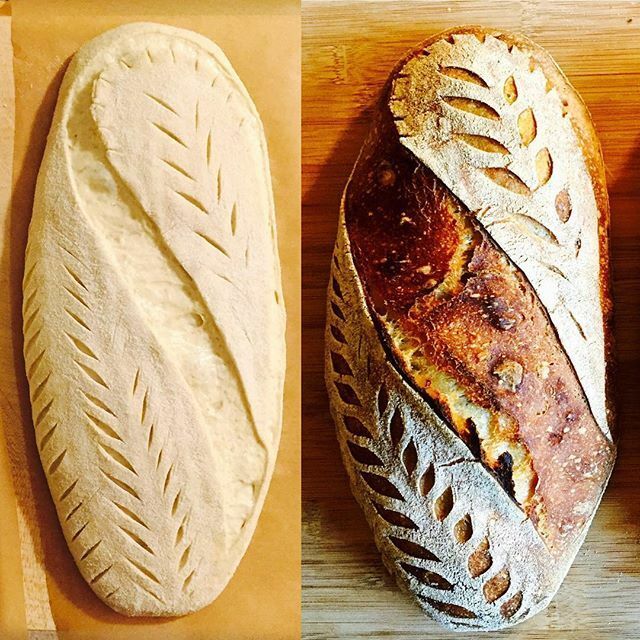 Bread artisans have their work cut out for them: once the dough has been shaped, but before baking, it's possible to make patterns like these with impressions on the dough's surface. It's difficult to account for how these marks will expand as the bread rises, though, so complex designs are much trickier. 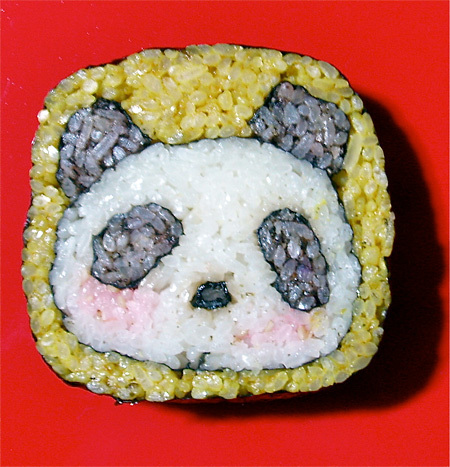 Because sushi rolls are comprised of different types of rice, veggies, and fish, there's a lot of potential for color, which means plenty of room to arrange the pieces to create an image. Since rolls are relatively small compared to other items on this list it may be the most difficult example we're presenting, but there's lots of examples of people trying their hand.